Product code: 174 Categories: Sold Items, Sold Jewellery. This is such a traditional design. 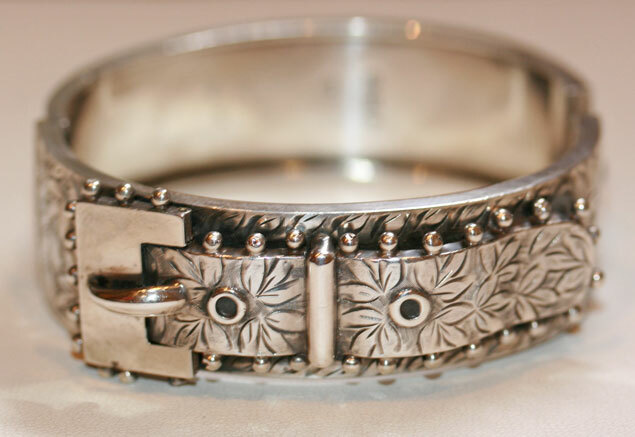 The buckle feature is so distinct of the late Victorian era, and this one dates from 1883. With wonderful attention to detail, and being a hinged design, it is very easy to wear every day.